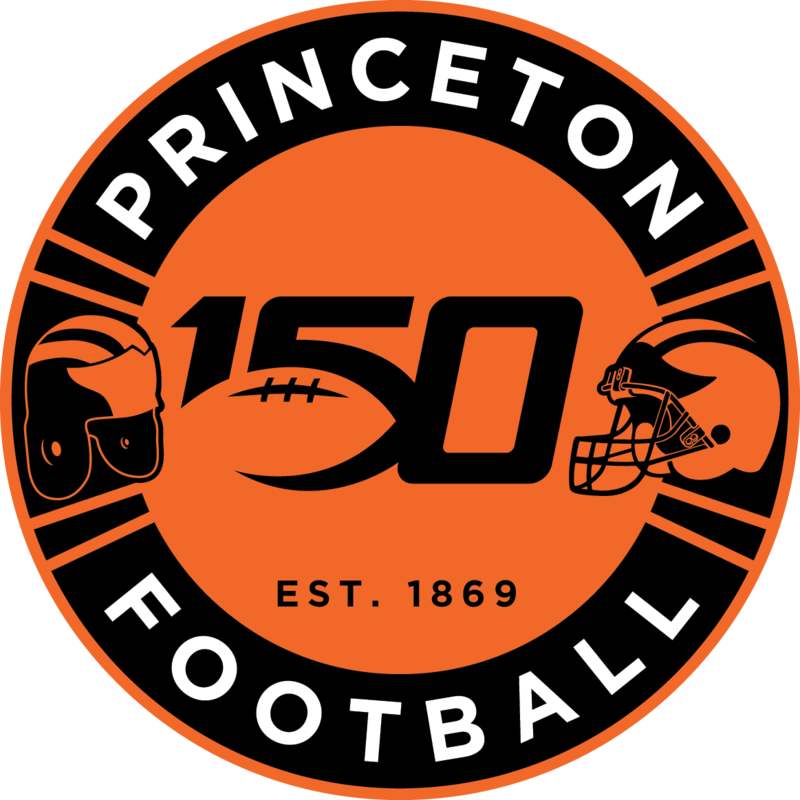 Princeton University football vs. Brown, Princeton, NJ, October 13, 2018. Kevin Davidson took the first snap of the game, knowing an entire fan base wondered how he would handle his first collegiate start at quarterback. A few seconds, and 39 yards later, those questions were put to rest. The Princeton offense was in good hands, especially since four of those hands belonged to Jesper Horsted and Stephen Carlson. The All-Ivy League wideout duo combined to catch 21 passes for 296 yards and three touchdowns Saturday to lead Princeton (5-0, 2-0 Ivy) to a 48-10 victory over Brown during Alumni Weekend on campus. Davidson, who made his first collegiate start after John Lovett suffered an injury against Lehigh, was terrific against the Bears; he completed 26 of 39 passes for 304 yards and four touchdowns, including a 62-yard strike to Horsted during a 28-point first half. While the offense continued to roll, the defense did what it has done all season and overwhelmed Brown while the outcome was in doubt. Princeton allowed a total of only 67 yards during the first half, and the first second-half touchdown that the Tigers allowed all season came with Princeton ahead 42-3 in the fourth quarter. Senior captain Mark Fossati led Princeton with 12 tackles in the win, including two for losses, while sophomore Samuel Wright added two of the Tigers’ five sacks. As a unit, Princeton had 10 tackles for loss, and it ended the game in style with the first career interception for freshman Manus McCracken. The dominating defense happily continued to get their teammates the ball throughout the first half. 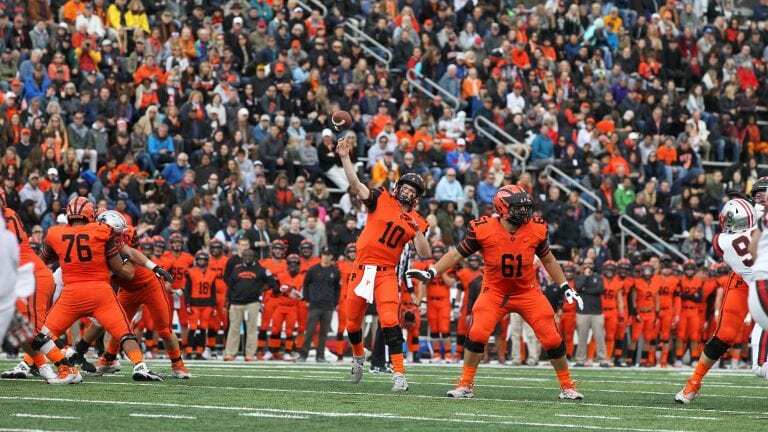 Princeton opened the game with a 75-yard scoring drive that ended with a screen pass touchdown to Quigley, and then Davidson connected on a strike to Horsted for a 66-yard score later in the quarter. After a short punt by Brown, following a drive that netted -6 yards, Davidson found a leaping Horsted along the left side of the end zone for a 21-0 lead. Horsted ended the game with 13 catches for 169 yards and two TDs; he now stands third all-time in Princeton catches (157), and he is one receiving yard behind Chisom Opara for third in that career category as well. His two touchdown catches only built on his own record, which now stands at 23. Carlson added a TD catch of his own to move to third on Princeton’s all-time touchdown catches list (16), and then Princeton turned to the ground and its powerful senior standout Charlie Volker. One year after Volker scored four touchdowns in a 53-0 win at Brown, the two-sport standout rushed 13 times for 102 yards and two scores, including a 37-yarder to start the fourth quarter. Volker moved into the Top 10 in career rushing yards at Princeton (1769), and he tied Cameron Atkinson for seventh on the career rushing touchdown list (27). Princeton now stands at 5-0 for the first time since 2006 and only the second time since 1995, and it remains one of two teams in Ivy play with a 2-0 record (Dartmouth). After playing three of four at home, the Tigers will head to Cambridge, Mass., next Saturday for a noon showdown against Harvard, a game that will be streamed live on ESPN+. The Crimson will come into that game with the momentum from Friday night’s last-second win over Holy Cross.